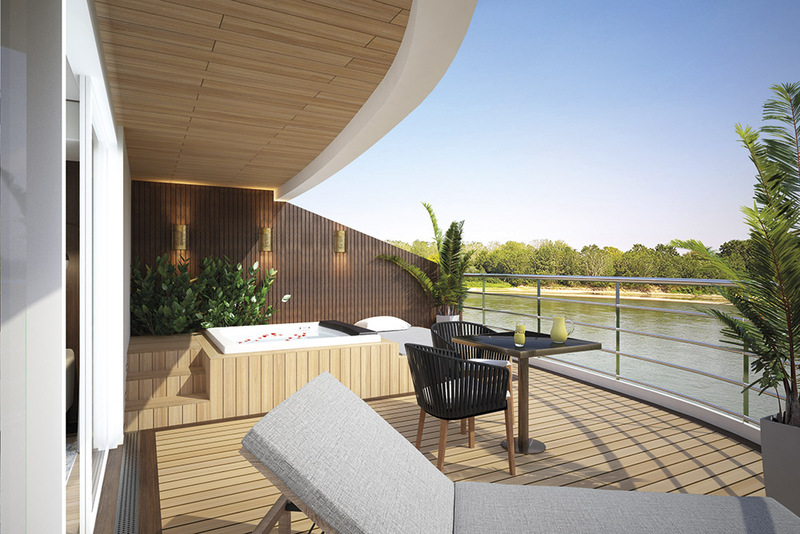 Introducing Emerald Harmony, our newest Star-Ship, specifically designed to traverse the Mekong. Our spectacular Emerald Harmony Star-Ship will exceed all your expectations, as it introduces you to the majesty of the Mekong. Reaching 239ft (73m) in length, 42 cabins accommodate 84 guests and 40 crew members, enabling us to provide spacious suites and public areas, as well as an excellent staff-to-guest ratio. Unlike other similar sized ships, we have specifically designed the Emerald Harmony to sail into the centre of Ho Chi Minh City, allowing us to dock in the heart of this fantastic city. Every one of our suites and staterooms are chic, modern sanctuaries fusing authentic Asian style with contemporary design. With all the amenities you’d expect from a world-class hotel, you’ll enjoy a restful sleep in your queen or twin-size bed, as well as an en-suite bathroom, luxury toiletries and bath robes. And once back from your included excursion unwind by watching films on your HD flat-screen television and keep up with loved ones, using free Wi-Fi. At 452ft² (42m²), this truly spectacular suite boasts a separate bedroom and lounge area, a luxurious en-suite bathroom and a queen-size or twin-style bed plus enjoy a private terrace, with an additional space of 323ft2 (30m2 ) complete with a Jacuzzi. Not forgetting, you’ll be invited to dine at the Captain’s Table. Beautifully appointed with a private balcony, these luxurious suites reach 398ft² (37m²) and host a separate bedroom and lounge. Guests staying in these suites can enjoy the opulent surrounds of the en-suite bathroom, as well as breakfast, canapés and after-dinner treats. 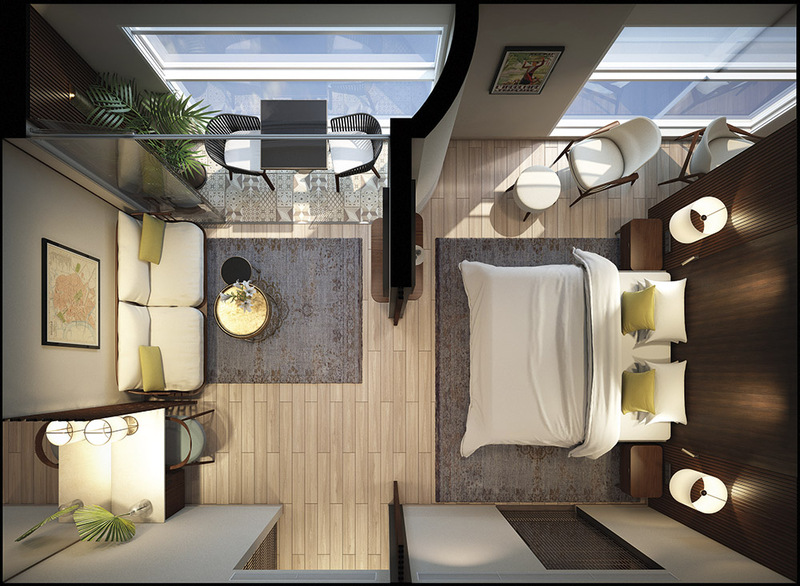 A private balcony with drop-down window is perfect for enjoying the ever-changing views. 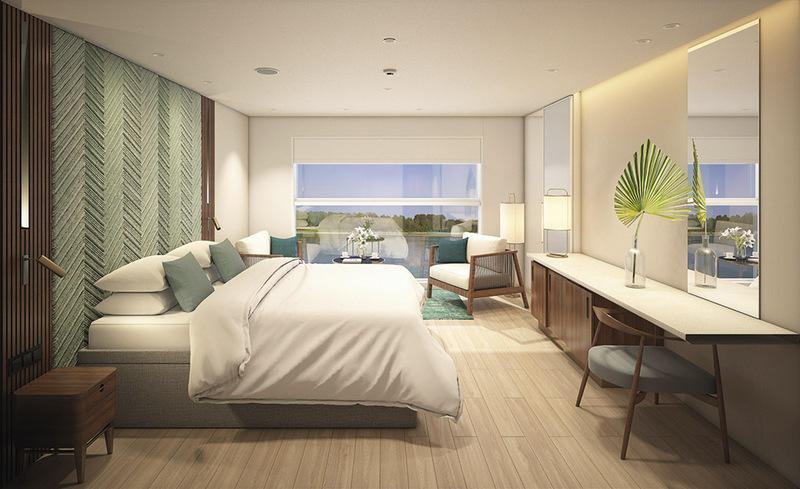 Reaching 273ft² (25.4m²), relax and unwind in your opulent en-suite bathroom, complete with toiletries, and sleep soundly in your queen-size or twin hotel-style bed. Providing excellent value for money, they are bigger than the average standard staterooms. Enjoy your time on-board in your home-away-from-home, with everything you could possibly need. 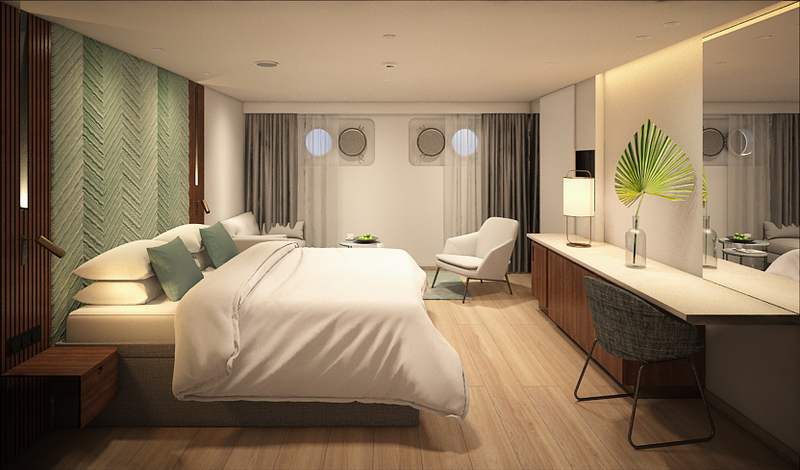 Emerald Staterooms have porthole river views perfect for seeing the picturesque landscape pass by. Important Information: The cabin and deck plans, sizes and photographs are an indication only and are subject to variation. ^ Due to safety, the Sun Deck will be closed when travelling under low bridges. Cabins 301 & 302 have a partially obstructed view from the balcony. The balcony window size is not impacted however the Star-Ship structure covers a section of the window.